As the manufacturer of the only supercharged sport tourer models on the market*, Kawasaki is happy to announce the arrival of a third variation of the Ninja H2 SX. Complementing the Ninja H2 SX and Ninja H2 SX SE, the all-new Ninja H2 SX SE+ offers advanced electronic suspension and a host of other equipment that make it the most advanced model of the lineup. This showcase of Kawasaki technology is sure to please riders in search of high-grade equipment along with the thrill of supercharged acceleration. Damping is adjusted electronically to suit vehicle speed and suspension stroke speed. Deceleration is also taken into account, allowing the pitching that occurs under braking to be managed. Control is via a solenoid valve with direct (single-stage) actuation. This results in extremely quick reaction time: 1 millisecond – much quicker than systems that rely on step-motors, or those that use pilot valves (two-stage actuation), which slow the system’s responsiveness. The quick reaction time makes KECS ideal for sport riding applications, where natural feeling is crucial to feeling at one with the bike. 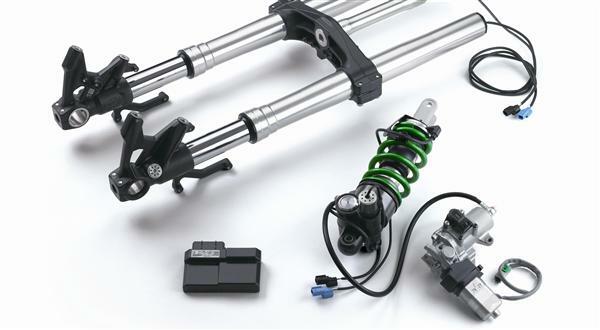 Built-in stroke sensors on both the fork and rear shock – the same used on the Ninja ZX-10R SE – provide real-time stroke speed and compression information. 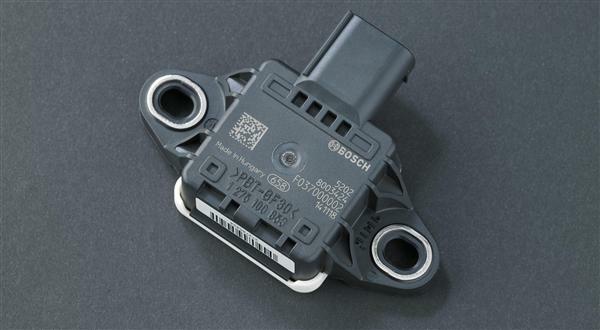 The sensor coils provide input to the KECS ECU every 1 ms. This is complemented by information provided by the IMU (acceleration/deceleration) every 10 ms, and the FI ECU (vehicle speed) every 10 ms. The Ninja H2 SX SE+’s advanced, high-tech instrumentation contributes to the high-class appearance of the cockpit. The analogue-style tachometer is complemented by a high-grade full colour TFT LCD screen that enables information to be displayed graphically. 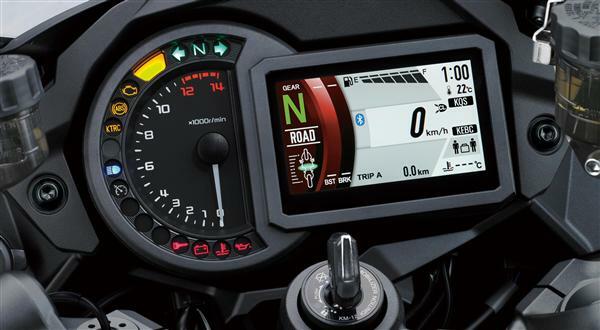 Four selectable display modes allow riders to prioritise the information they want to see depending on the kind of riding they are doing at the time. A Bluetooth chip built into the instrument panel enables riders to connect to their motorcycle wirelessly. Using the smartphone application “RIDEOLOGY THE APP,” a number of instrument functions can be accessed, contributing to an enhanced motorcycling experience. Vehicle Info: information such as fuel gauge, odometer, maintenance schedule, etc can be viewed via the smartphone. Riding Log: GPS route information as well as vehicle running information can be logged and viewed via the smartphone. Telephone notices: when a call or mail is received by the smartphone, this is indicated on the instrument display. General Settings: general instrument display settings (such as preferred units, date, date format, etc) can be adjusted via the smartphone. Vehicle Settings: Riding Mode (Road, Sport, Rain, Rider) can be set in advance on the smartphone and uploaded when in proximity of the bike, as can riding support systems (like Kawasaki Engine Brake Control and KQS) and the payload mode. Kawasaki’s new Highly Durable Paint features a special coat that allows scratches to repair themselves, enabling the paint to maintain its high-quality finish. The Ninja H2 SX SE+ cornering lights built into each side of the fairing help illuminate the road when cornering at night. Each of the three lights has a fixed direction and is activated based on lean angle. As the bike leans over, the lamps come on in order, creating a wider path of light in the direction the bike is heading. Designed to assist the rider by optimising acceleration from a stop, KLCM electronically controls engine output to prevent wheelspin and minimise wheel lift when launching. KLCM should only be used under closed-course conditions; do not use KLCM during everyday riding. Dual-direction quick shifter allows both clutchless upshifts and downshifts. Designed for effective sport riding, street-optimised settings enable operation at rpm above 2,500 min-1. Riders can set power delivery to suit conditions and/or preference, choosing from Full, Middle, or Low mode. Kawasaki’s supersport-grade high-precision brake management system, designed to take into account the particular handling characteristics of supersport motorcycles, ensures highly efficient braking with minimal intrusion during sport riding. KIBS also incorporates corner braking control, modulating brake force to counter the tendency of the bike to stand up when braking mid-corner. This system allows riders to set the level of engine braking according to preference. The Ninja H2 SX SE+’s superb fuel efficiency represents a significant increase over the supercharged engine of the Ninja H2, and is on par with that of the Z1000SX and Versys 1000. Combined with its 19 litre fuel tank, this gives the Ninja H2 SX SE+ a substantial cruising range. Full-fairing bodywork contributes to both wind protection and the Ninja H2 SX SE+’s sporty looks. The full fairing was possible thanks to the highly efficient engine, which gives off significantly less heat than that of the high-performance Ninja H2. The bodywork strategically shields the rider without being too large, balancing rider comfort and aerodynamics. On the SE+ model, a large windscreen further protects the rider from windblast, offering even greater touring comfort. The riding position for the Ninja H2 SX SE+ was designed with both sport riding and comfort in mind. 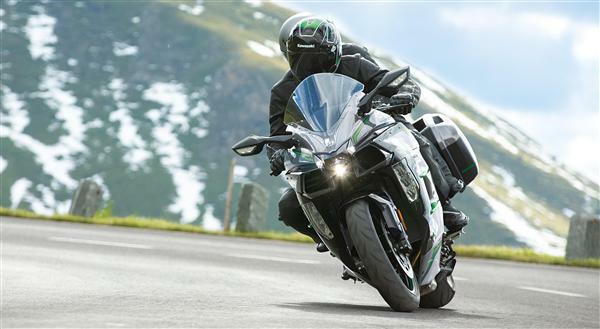 Not as far forward-leaning as the ZZR1400, and not as upright as the Z1000SX, the Ninja H2 SX SE+’s riding position offers a more relaxed bend for both the elbows and knees than the ZZR1400. Realising high-speed performance with an upright riding position is difficult to achieve, but thanks to the Ninja H2 SX SE+’s superb wind protection the riding position more comfortable than that of the ZZR1400 was possible. The position is comfortable for both in-town riding and long touring, while still enabling the rider to enjoy sporty riding in the hills. On the SE+ model, high-grade two-tone (leather/suede) seats with double-stitching are standard for both the front and rear seats, adding to its exclusivity.